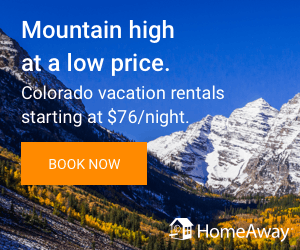 A summer vacation to Colorado can be perfect for you and your family, no matter what your interests and hobbies are. The state is a great place for active outdoor lovers who want to take in nature’s beauty, but there are also many urban areas where you can take in the arts and music. Many people outside the state associate Colorado with the Rocky Mountains, and while mountain biking, hiking and rock climbing are popular activities, there are many other things to do in the summer months both indoors and outdoors. In addition to spending time on the mountain range, you can golf some of America’s best courses, take Colorado cannabis tours, spend time in the water and enjoy the best parts of city life. With so many different things to do and see, it’s an ideal place for families with children in a range of ages and diverse interests. You can start by finding the best hotels in Denver here. Some of the best Colorado activities take place on the water. The mild summer weather in Colorado makes it ideal for spending time on the water, feeling the breeze coming off the waves. Though it is a landlocked state, there are plenty of bodies of water to enjoy. If you prefer to relax, you can rent a luxury boat to enjoy sailing down one of our waterways with a cocktail in hand. 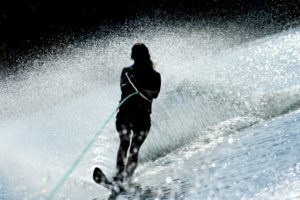 If you’re looking to be more active, kayaking, waterskiing and tubing are all popular activities. For vacationers who want to have more of a relaxing time, river cruises down the Colorado are a great way to get up close to nature without having to exert yourself. A river cruise allows you the luxury of a cruise vacation but in a more intimate setting. These boats can get you closer to the native wildlife and unspoiled riverbanks that the state is famous for. Some golfers believe that the thin air on our high-altitude golf courses helps them drive the ball even farther than they can on other courses set at a lower elevation. 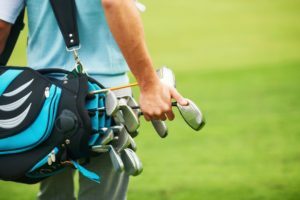 Beautiful and challenging golf courses are found all over the state, and summer days in Colorado are perfect for hitting the course without getting overheated. Castle Pines Golf Club, a Jack Nicklaus designed course, is a must visit for any golf enthusiast. Ranked as one of America’s Top 100 since the 1980’s, it has challenged many of the greats over the years. The golf club is a great place to have a cold beer after the 18th hole is sunk. The beautiful views of nature all over the state help to inspire artists, who showcase their works all over the state in the summer months. 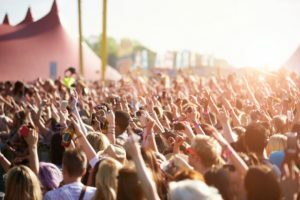 The Red Rocks Amphitheater, nestled inside the mountains in Morrison, offers concertgoers a once in a lifetime experience. World famous performers take to stage, flanked by the red sandstone formations native to the area. It’s a great way to see some of the natural beauty of the landscape while taking in great music. For those who prefer the visual arts, Aurora is an artist town packed with galleries and studios to explore. The local art community often comes out into the streets to display their works on summer weekends, making it a perfect place to take a leisurely stroll and observe. These smaller cities are a great contrast to the crowded urban areas, making them perfect for a weekend getaway. For parents with children, a summer vacation goal might be to get the family unplugged from the Internet and more in touch with nature. While this might seem challenging at first, once you’ve found the right place to keep everyone engaged and busy, it isn’t that difficult. Colorado offers the perfect blend of urban spaces and untouched country to make it easy to get back to nature for a few days. The best Colorado activities are the simplest ones. 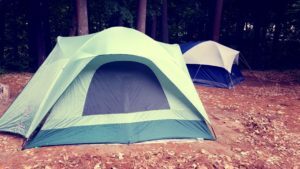 Summer evenings in Colorado are cool enough to make sleeping in a tent or hammock under the stars pleasantly comfortable, and you can plan to see an assortment of wildlife, including birds, fish, bears and even the occasional coyote. Catch your own dinner in one of the gently running streams and cook it on an open fire or join your kids for a marshmallow roast around the campfire. These memories can last long after the summer ends and for many years in the future. With so much to do, a vacation to Colorado can last for as long as you want it to with new activities to take part in every day. As you travel, chances are you’ll fall in love with the welcoming local people and remarkable landscape within the borders of this state.